Amicia Glow: My Favourite Things. March Edition. 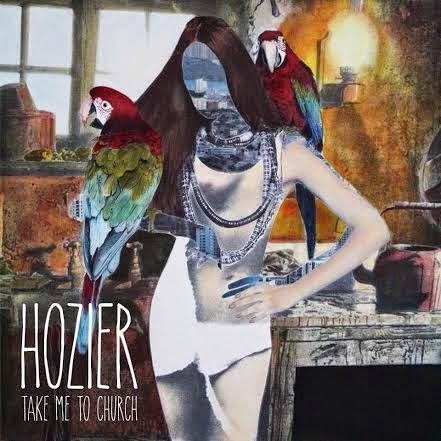 The moment I heard Hoziers 'take me to church' it hit me. It was haunting and pulled at my heart strings so much so I actually found it difficult to listen to the entire song. I knew I had to see the music video attached to get full meaning behind the song and its expressive lyrics and long and behold the music video is also a tough watch, however, portrays the meaning behind the song perfectly. The video is reminiscent of what is happening in Russia at the moment and indeed many other countrys across the world with the LGBT community and their fight and struggle for equality. 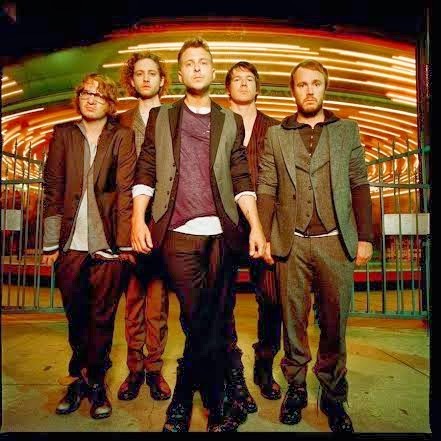 This month, in fact this year I can't stop listening to One Republic. They just can't falter and with a talented singer, song writer, lead singer Ryan Tedder penning all their tracks they are truly on the road to the rock and roll hall of fame. Did you know that Tedder also wrote huge hits such as Beyonces 'Halo', Adeles 'Rumour has it' , Demi Lovatos 'Neon lights' and none other than Ellie Gouldings 'Burn'? Truly one of the most talented musicians of our time. 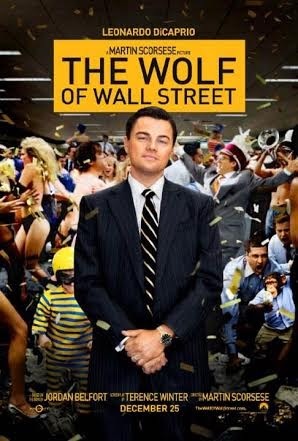 The movie that had everyone talking for the past couple months is Wolf of Wall Street and for me this is one of the best films I've watched in a long time. From start to finish I was hooked and I didn't stray once.When I seen the running time was 180 minutes I thought straight away that I was going to loose interest in this plus I was going to see it on a 'school night'. I remember going to see 178 minute long The Fellow Ship of the Ring and feeling like it was endless, all them years ago and dare I say it being disappointed with the ending ;). 3 hour long films generally don't go down well with me haha :D but this was an exception. The Wolf of Wall Street is a black comedy, a very fitting description. It tells the true story of Jordan Bedfort a stockbroker who sets up a business on Wall Street, defrauding innocent people of millions. I was hooked from start to finish. It helps that the film is narrated by Belfort (Di Caprio) through out. And I still think Leonardo Di Caprio shoulda bagged the oscar for his role as Jordan Belfort, cheated!! If you haven't seen it. See it!! It won't disappoint. This is one for my DVD selection for sure. The TV show I can't get enough of and have been looking forward to watching all this month is the Big Bang Theory. The show is based on 4 scientists- Sheldon, Leonard, Howard and Raj and a waitress Penny. Each character is well thought of and completely different to the next and each more funny than the other, however, I have a soft spot for 'Sheldon Cooper' a socially awkward, insensitive and all round narcissistic guy, oh yes, 'he's very clever and he knows it'. Sheldon Cooper has to be the funniest character on TV at the moment, in my opinion. Jim Parsons portrays this character brilliantly and its to no surprise he has won countless awards for his work. :) If you are into sitcoms, for example, Friends, Mike and Molly and Two and Half Men you will love this. Next to friends this is definitely my favourite TV show and I'm definitely going to treat myself to the box set. Did you know that the creator of the show Chuck Lorre is also the creator behind Two and a Half Men and the executive producer on Mike and Molly? What a innovative man! You can expect to watch the Big Bang Theory on the box until at least 2016 having another 3 new seasons agreed on. You can catch repeats across numerous channels including 3e and E4. Season 8s release date has not been confirmed yet but I can't wait!! I am very prone to breakouts and around the time of my birthday in March I had a break out worse than any I had in the longest time and I felt so fed up! I turned to good oul facebook to ask what people would recommend and my good friend Laura commented Tea Tree oil and it brought me back to when I was a teenager and my mam giving me tea tree oil for my breakouts around the time of my debs and it working a treat only it burning like mother f#cker however it was a burn worth taking. So off I popped to my local pharmacy on the hunt for a bottle of tea tree oil. First of all I could not get over how cheap this stuff is!! Less that 4euro a bottle. The minute I got home I cleansed and moisteurised and applied the tea tree oil to by breakout and much to my surprise it didn't cos any sensation only a soothing warming feeling on the breakout. I repeated this again that evening before I went to bed and I took my besties advice and put a few drops into my moisturiser before I applied to my face and I found this routine really improved my skin. This is now part of my everyday routine and its keeping all bad breakouts at bay. And I love the smell of it which is a bonus also cos if you have never smelt tea tree oil be prepared because it is strong!! Do you have dry sensitive skin like me? Skin so sensitive that even picking up a bottle of tutti fruiti shower gel in a super market, you feel your skin squirm? That's me. I am the biggest lover of sweet smelling treats for your body but I can't use them everyday in my regular routine. 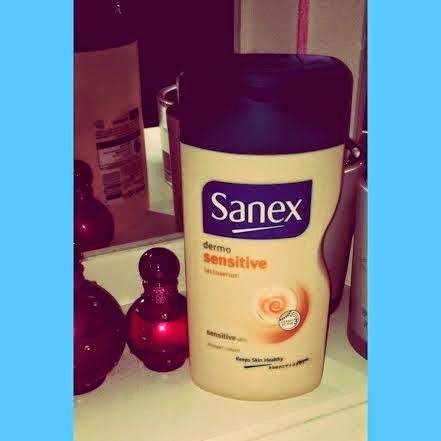 But I have found a shower cream that is so nice it makes me want to never use any other shower product to wash myself and that is Sanex sensitive shower cream. I can honestly say that this milky shower cream will be in my shower for a long time to come. It hasn't caused any irritation whatsoever. The first is the Bourjois mascara for sensitive eyes. I own so many mascaras most of which I have to stop using after a few days cos it wouldn't agree with my eyes but this mascara has stood the test of time, I'm using it since Christmas, with no 'red eye' whatsoever. That's the biggest plus. 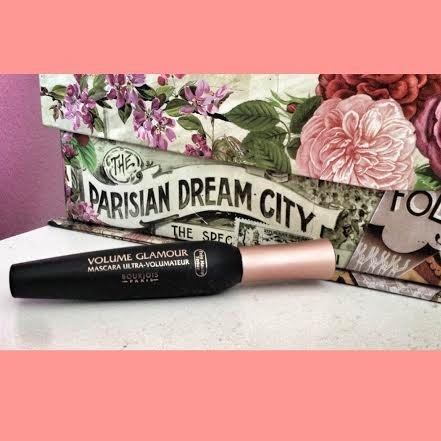 But besides that, I love this mascara its gives my lashes full affect with no clumping. The wand is quite long and thin so it does take a couple of coats to get my lashes to my desired look but I don't mind that in fact I like it because I can be very precise using it. I also love the packaging. Its so girly and very boudoir esk. I am the biggest fan of Bourjois makeup everything down to their nail varnish. Expect plenty of appearances from Bourjois in the future ;) A lil fun fact, Bourjois is around since 1863 originating in Paris!!! My next item of makeup up in this months favourites is a mac lipstick in the form of 'girl about town' and I love this lipstick. Its the most girly pink shade with a blue undertown which makes your teeth look whiter :) I bought this lip stick on new years day when me and my best friend went out shopping and I couldn't resist it and lets face it what a lovely way to start of the new year with a new mac lipstick and my first mac lipstick in toe. 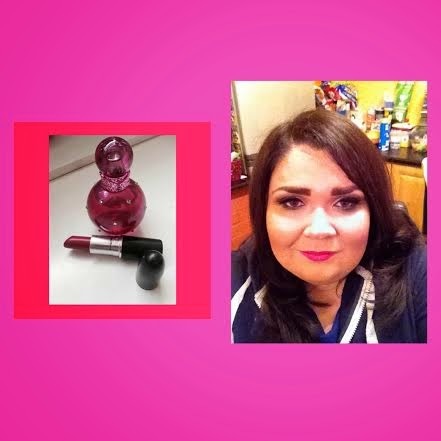 For me, I've only worn this lipstick on nights out and to partys and it looks great with a smoky eye. Its an amplified finish, (really pops out and is long lasting) I would wear this during the day maybe on lunch date but I wouldn't wear it in work. I keep my makeup very minimal in work so its a real treat when I break it out to wear. 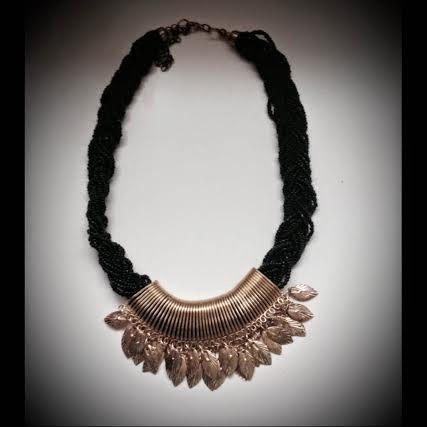 My favouite accessorie this month is the statement neck lace I wore on the night. It's stated but not over stated which is why I love it. 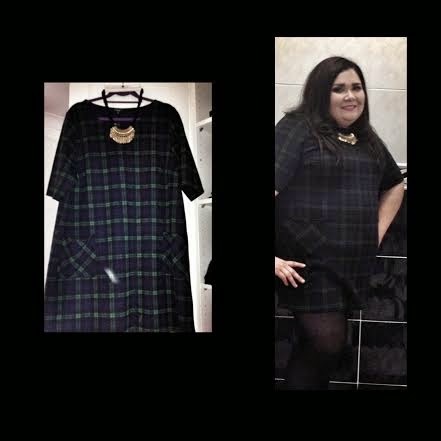 I bought this in New Look also. Its gold hard ware leafs on a black sequin rope. I'll get plenty of use from this over the coming months for sure! Just on a side note I wore a black and gold bangle I bought in New York over 6 years ago! I'm not one to buy/wear a ton of jewelery but what I do buy I wear and still break out pieces I have years!! To finish of my monthly favourites I'm throwing in my favourite moments of the month. March was busy! 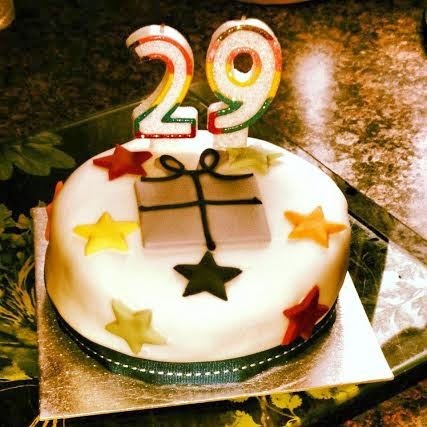 My mam turned 50 and I turned 29! My mams party was the business! Gave me plenty of ideas for my 30th. EEEK better make the most of the last year of my 20's, well this is a good place to start, officially blogging. I also got a new car! A better car and I am looking after her like shes my baby LOL. So there you have it my first post and my first monthly favourites. I hope I didn't ramble on too much and you enjoyed reading my favourite things I know I love reading other bloggers monthly favourites.Thanks for reading.